Things haven’t changed too much from last month. 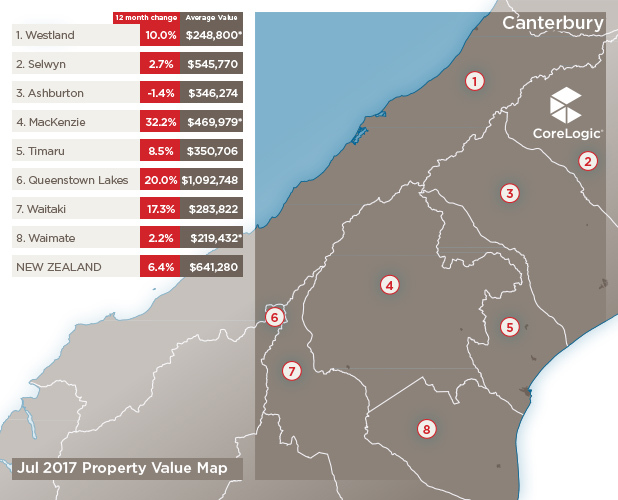 The softening in the property market has continued according to the QV House Price Index, which was released last week. Nationwide annual value growth has dropped to 6%, the lowest for over two years. 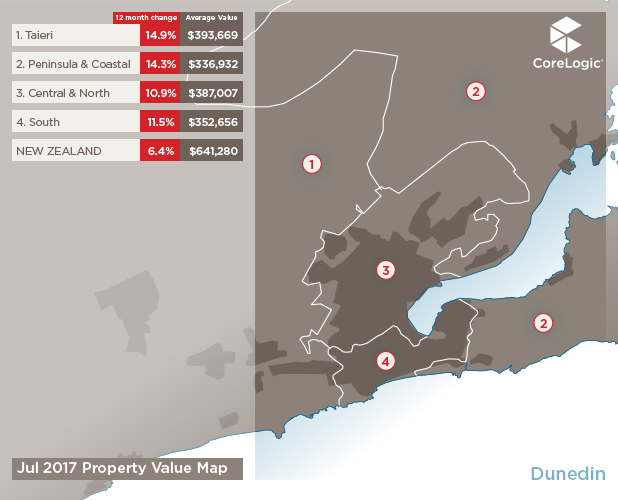 The slowdown is most strongly felt in our main centres, led by Auckland with only 5% annual growth and effectively no increase in value since October 2016. 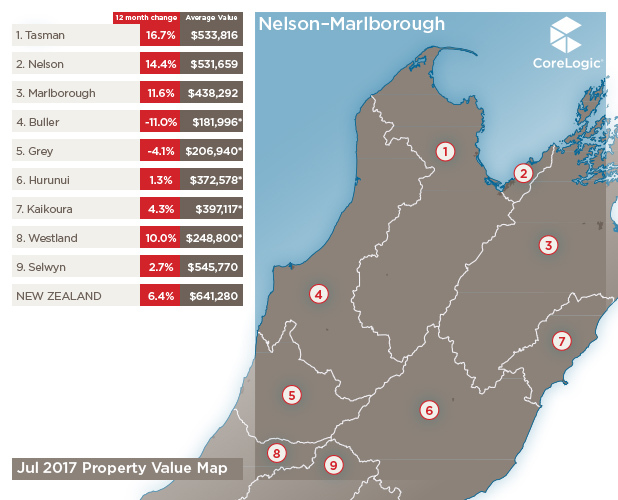 The provinces look to be holding on to some degree, with 14% annual growth, however this has consistently fallen away since the start of the year and based on current market activity, my pick is that it’ll continue to drop. So the property market is in a change phase, where the peak growth cycle has now passed. That’s not to say all growth has disappeared but the glory days of 30%+ annual growth in some parts of the country look to have come and gone. For now. It’s at this time when conflicting market information can bombard us. Adding to that, we’re in an Election year, so it all goes into overdrive with each political party picking the best stats to suit their particular policy angle. 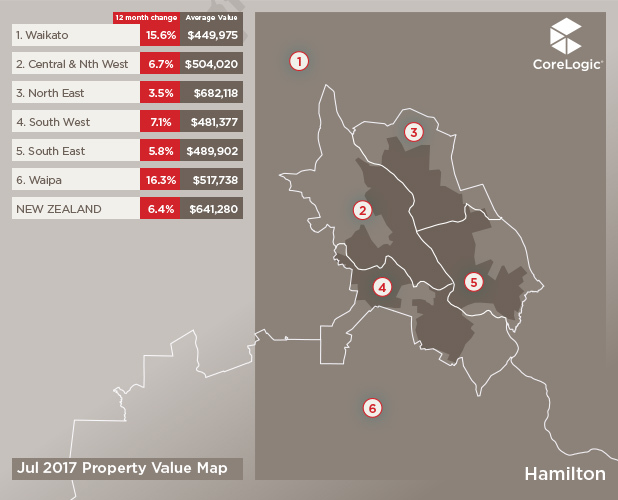 There’s no way to cover off every single measure in one article, and I do want to focus on the suburb level measure today, but I would be remiss not to quickly mention the two most publicised market measures, both at a national and city level. 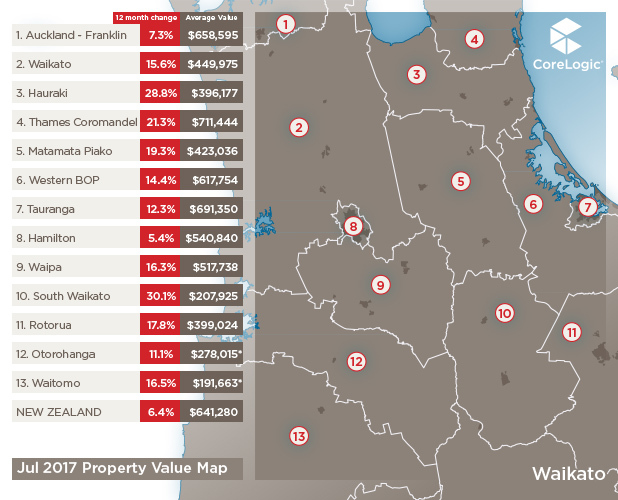 The QV index measures the change in value of the entire stock of property in an area, while REINZ measures the change in value of properties that sold in a given period. The REINZ index is based on sales by agents in an individual month, whilst the QV index is a rolling three month calculation using all sales (including private). The REINZ sales loading process is faster than QV’s, however it’s worth noting that QV don’t solely rely on the old method of sales loading through the official Council records anymore, so their data isn’t as far behind as it used to be. What does this all mean? Well, the REINZ index generally picks up recent trends faster than the QV index, but the QV index is probably a more robust, stable and complete index when analysing the historical performance of any given property market. But if we want to look more granularly and understand what’s happening at the suburb level, things get a little messier. 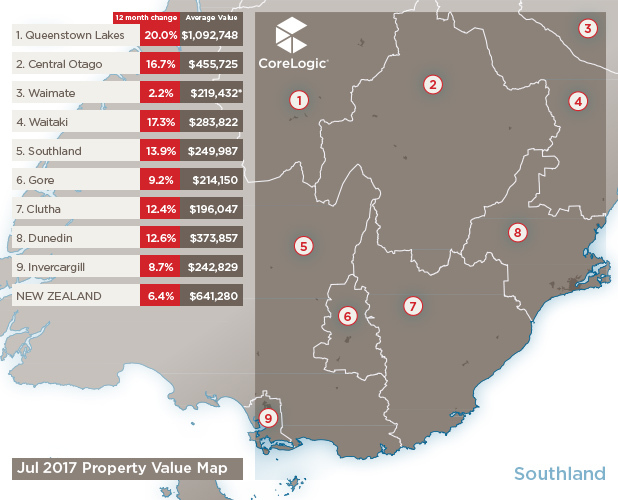 There’s no regular monthly release of data, but rather an assortment of ad hoc top 10 lists of suburb ‘hot spots’. So, how to know what’s best? The key thing is understanding what is being reported and the terminology used. 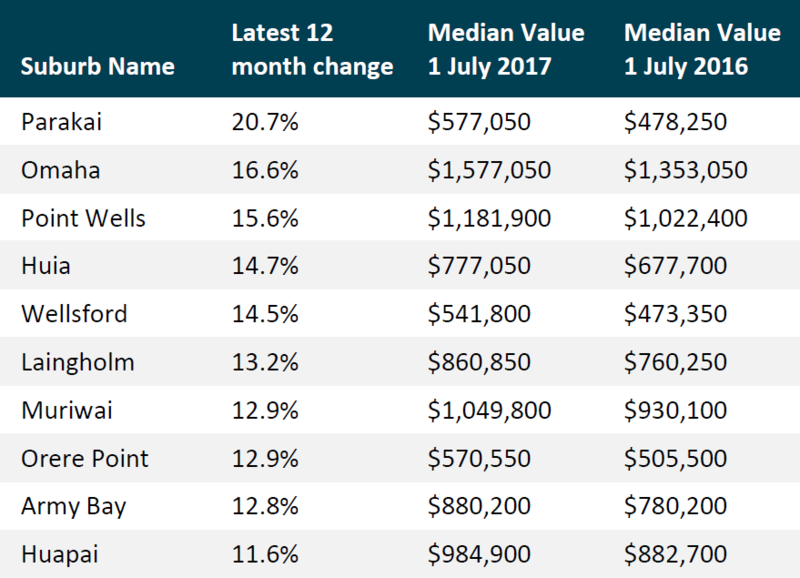 Often the list will detail the median sale price difference between two periods, as happened recently, lauding Beachlands as the top suburb with a 64% growth in median sales price between the first half of 2016 ($815k) and the first half of 2017 ($1.34m). But, what this doesn’t take into account is whether the types of properties that sold over these periods differed. And in some cases, the stats are from an individual agency which may perform to varying levels of success in different parts of the market between any two given periods. In other words, their sales may not be representative of the total market. 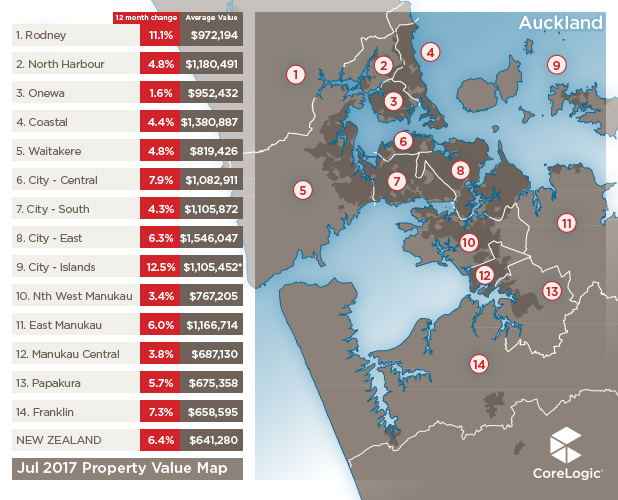 In an extreme hypothetical example: let’s say there were 100 properties in an area, and during the first period the cheapest 10 properties sold (median price $500k) and in the second period the most expensive 10 properties sold (median price $800k). At first glance it would appear prices have increased by 60%, but actually it’s simply that the type/size/value of properties that happened to sell over those periods changed. Moving to the real life example now: According to CoreLogic sales records, Beachlands had a total of 85 sales in the first half of 2016 and 72 sales in the first half of 2017. The median sales price went from $1.079m in 2016, to $1.193m, a difference of $114k, or 10.5%. This is wildly different from the stats reported in the recent top 20 list and illustrates that the subset used was not representative of the total market. Furthermore, neither will reflect the overall change in value for all properties over this time, as they are only looking at the portion of properties that have sold. There are a number of sites that produce an estimated value of every residential property in the country on a daily/weekly/monthly basis. 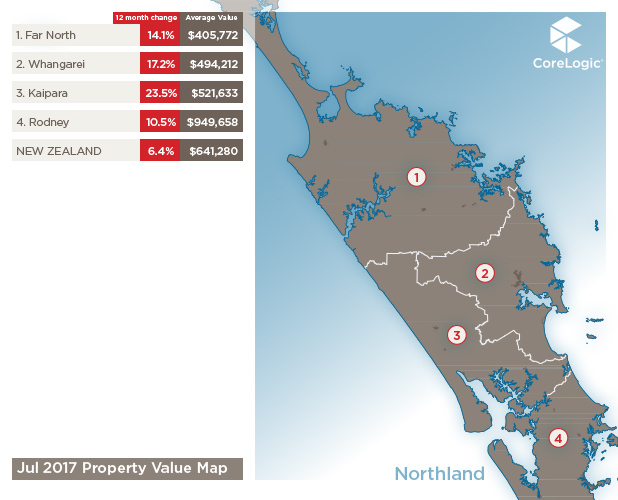 This is created using an Automated Valuation Model (AVM) which uses recent sales of comparable properties to estimate the likely sales price of any given property. 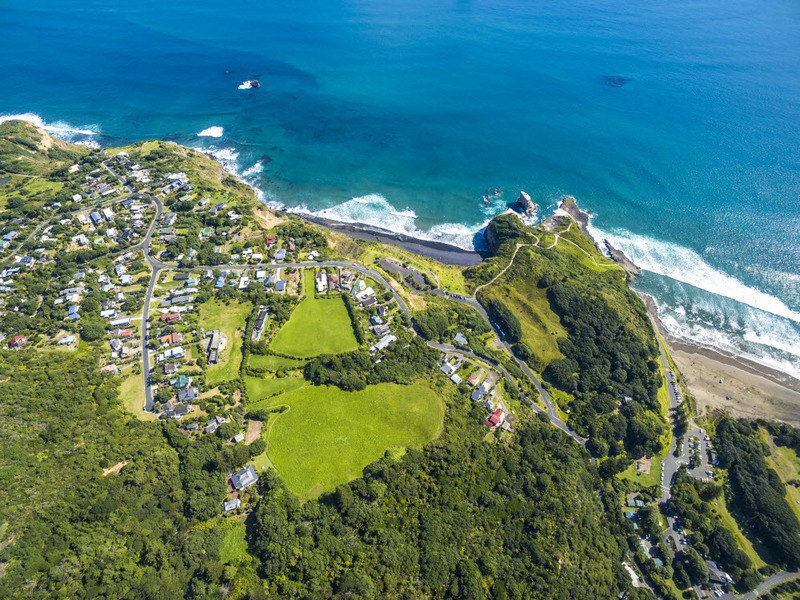 In Beachlands’ case there are over 1,700 residential properties so analysing the difference in median value for all properties between two periods is a much better method for understanding overall market performance. 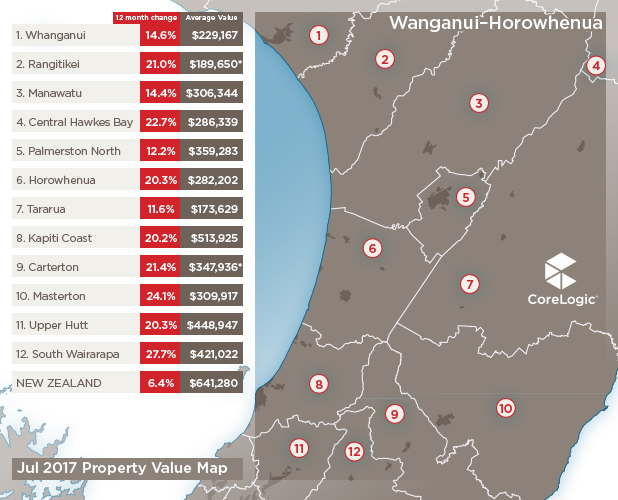 As at 1 July 2017 the median value of residential property in Beachlands, according to the CoreLogic AVM, was $1.217m, and on 1 July 2016 it was $1.112m, an increase of 9.4%. So the stats aren’t too different in this real life example, but they can be. Second on the recent top 20 list was Favona, with an apparent 37% jump. 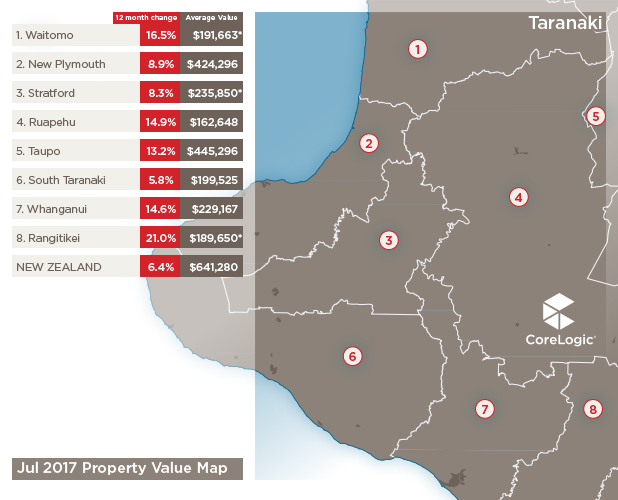 Looking at all sales, not just those by the particular agency, we calculate a 5.9% drop in median sales price and a 7.0% increase in the median value (of all properties). 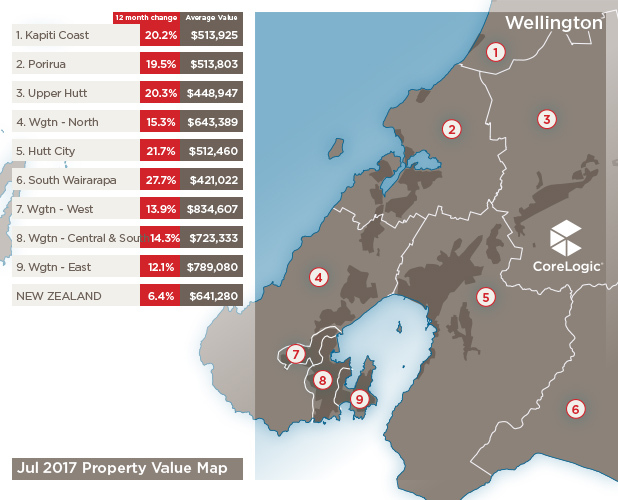 This illustrates that the agency sold an over-represented amount of high valued properties in the latest period of analysis. 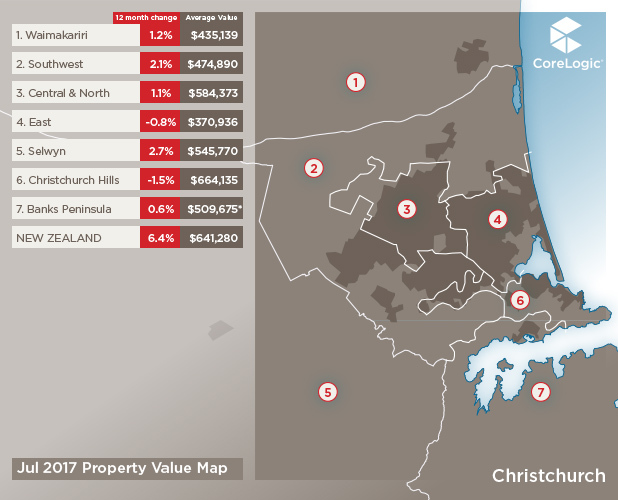 It’s also worth noting that the 5.9% drop in median sales price over the two periods doesn’t tell us that values dropped over that period (they actually increased by 7.0%), but that it was mostly lower value properties that sold in the first half of 2017. Some interesting names pop up, and across the complete value range too. Most notably though they’re almost all on the outskirts of the Supercity, often more holiday type locations. 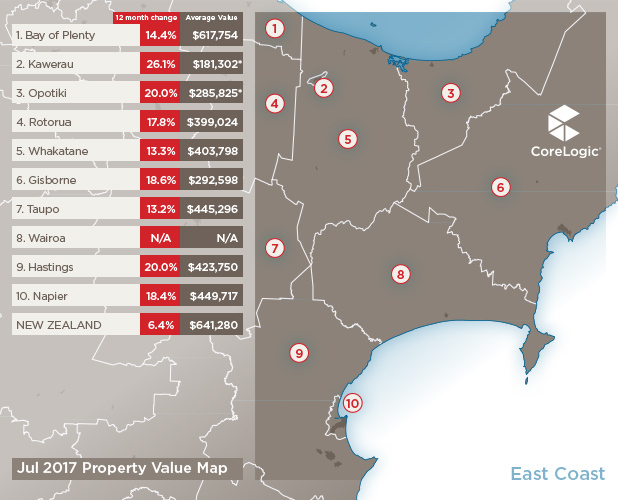 So it seems as the slowdown in value growth hits the City, prices have held up a bit better the further out you go. Whether that continues to be the case is unlikely as the amount of potential buyers continues to reduce due to unavailability of credit.